"Oh, Dakuwaqa!" 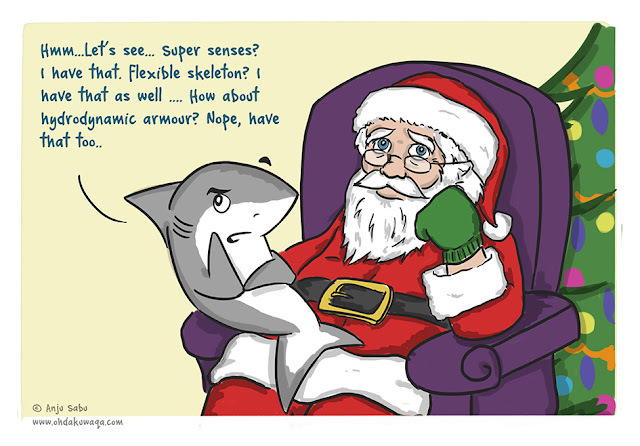 - The Shark comics and cartoons: All I want for Christmas is something to want! All I want for Christmas is something to want! This is an updated version of an old Christmas sketch. 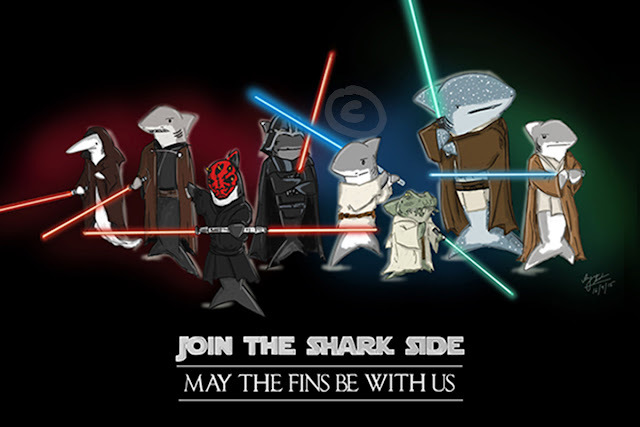 What do you get a Shark that has it all? 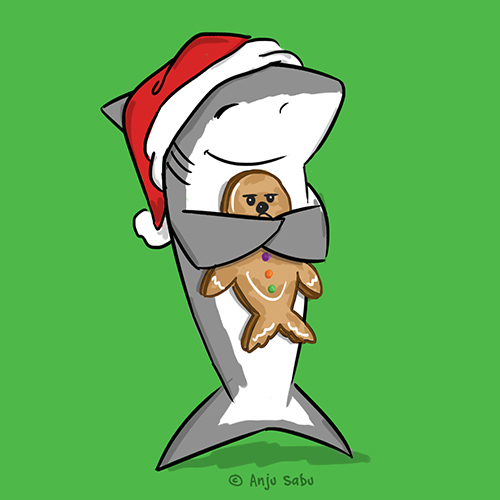 Also, it's Christmas. Hug a seal. Someone said that seal looks like Chewbacca and hence it's a chewy cookie. I love that.